The highest honors the Cockrell School of Engineering bestows on its alumni are the Distinguished Engineering Alumni Awards. Distinguished Engineering Graduates and Outstanding Young Engineering Graduates are recognized as accomplished professionals, dedicated engineers and supporters of higher education. 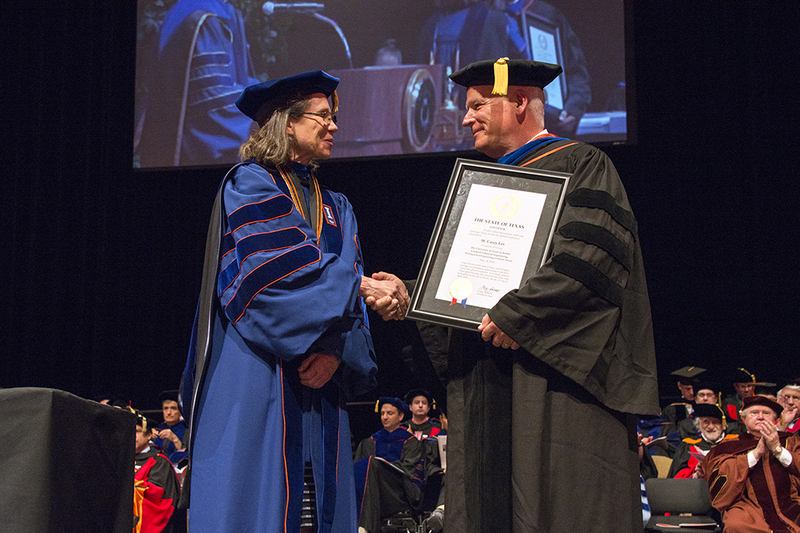 Established in 1957, the Distinguished Engineering Graduate Award (DEG) recognizes honorees as highly respected professionals, dedicated engineers and supporters of higher education. Established in 1991, the Outstanding Young Engineering Graduate Award (OYEG) recognizes the rising stars of Cockrell School alumni under the age of 40. Honorees are selected for their early outstanding professional achievements, dedication to public service and support of higher education. Made distinguished contributions to the theory and practice of engineering or has demonstrated major accomplishments or guidance in emerging fields of engineering technology. Managed or directed an organization that has made noteworthy national or international contributions in design, construction, production or service delivery through the application of engineering principles. Contributed truly exceptional service to his or her community, the profession and/or the public. Shown strong interest in the Cockrell School via a major contribution of time, money or equipment to the development of engineering programs. Is an exceptional role model who has encouraged and supported current or prospective engineering students.